Key holder featuring the art of "Chimi-e" master Yupon! 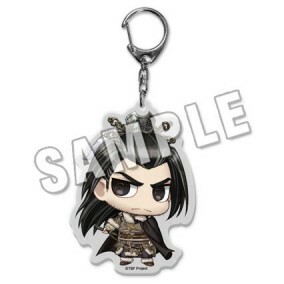 A line of key holders featuring Thunderbolt Fantasy: Sword Seekers character illustrations by "Chimi-e" master Yupon. There are 10 varieties in total - so get all your favorite characters! ・Images are for illustrative purposes only. Actual product may differ from the images shown.